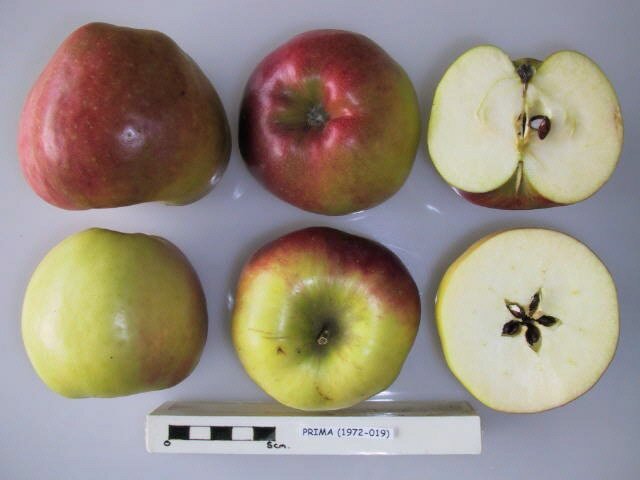 Medium to large fruit with dark red blush over yellow. Juicy white flesh with mild subacid flavor. This apple is described as an 'excellent dessert apple'. It shines best I think in pie and apple sauce (if that is what they mean by dessert) but is just an ok eating apple in my estimation. Doesn't keep very well, but is very robust, productive and disease resistant. Has a tendency to bear biannually. Makes pretty good cider too, a good disease resistant cultivar choice for a small orchard.